Born in Fowey, the Cornishman joined Argyle from St Blazey at the end of the war, a time when the club looked to recruit local players to compete in the temporary Football League South. He was a member of a well-known sporting family and his brother Charles also started with St Blazey and went on to play for Tottenham Hotspur and Crystal Palace. 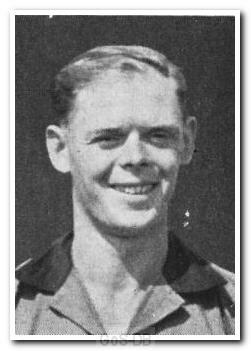 Despite playing only occasionally during the first post-war season, often due to injury, Rundle went on to spend seven seasons at Home Park. A steady and reliable player, his best season was 1947-48 when he and Len Boyd were a regular wing-half pair. At the end of his time with the club, he returned to St Blazey.